In trading, technical analysis is a popular topic. I like to keep the concepts simple even though the code to do simple things isn't always simple. Here is some "paper napkin" technical analysis talk that is simple to understand. Buying dips and selling rallies is obviously a simple concept and even easier to see in hindsight where it always looks obvious. 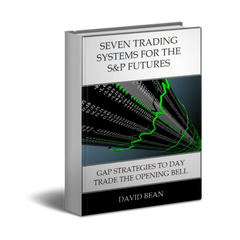 Can you use technical analysis on the equity curve of your trading system? This screen shot is one of the strategies in the 25K Portfolio special offer that we have shared and discussed quite frequently. It is the Crude Oil After Hours trading system. We see the last two dips are followed by 5k rallies in equity. We see the current dip and the start of a new rally. Will this be the beginning of another 5k run? At this point, you are risking $1,500 to make $3,500. 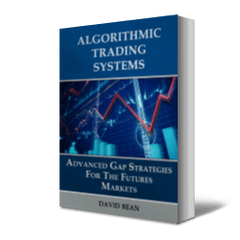 There is no way to predict the future and guarantee that your algorithm or trading system will always sync up with the market. 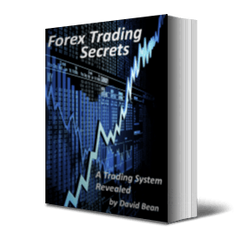 It is an approach for entering into a trading system though. You can see that the risk to the most recent dip is $1500. Since the stop loss is $300, it would be equivalent to five losses in a row (or a series of trades that did include some winners but mostly losers that would still break the most recent trough/dip in the equity curve). Since the profit target is $700, it would take a net of five winners from the current equity to reach the $5k rally. I can almost guarantee that it will not generate 5 winners in a row! This is just one example of using technical analysis on trading systems. 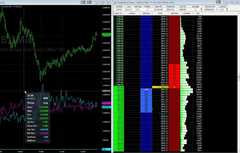 The benefit of having your own trading system is that it becomes your own market. Instead of trading Google, Apple, Amazon or individual stocks, your own trading system or portfolio is similar to trading your own market. I believe we have a better chance of buying dips and selling rallies in our own trading system or portfolio than we do in individual stocks. The answer to our question is Yes. When starting a trading systems or portfolio, it is without question that buying the dip is a good way to enter. If we want to time the equity curve and trade in and out, it becomes more complex and that is when we turn to our Money Management Algorithms. This strategy is part of the 25K Portfolio, 10 System special offer though this Friday.